The beauty of Sedona and surrounding Red Rocks is yours for the asking. Sedona features 5 star resorts, hotels, cabins or clean simple rooms. Either way or in between your sure to have a great view at a price that suits your budget. 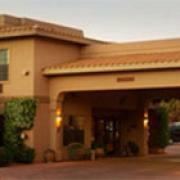 Accommodations in Sedona, Arizona hotels and resorts is and affordable option.